When you visit two albums that were recorded by the same band in a short time frame, it is very difficult not to compare and contrast the two. 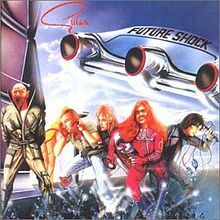 Therefore, I have to admit that of the two, I would say that “Future Shock” edges out “Double Trouble.” That said, there is absolutely nothing wrong with the latter album. It does go back to the more progressive sound of “Glory Road” but there’s nothing wrong with that and there is still some shining hard rock moments on it. “Sunbeam” comes to mind here. Furthermore, the live recordings of some of the past songs are excellently done and give me the regret of never having seen them live. “No Easy Way” is a good example of this. One thing I can say is that while there are many studio/live albums out there, “Double Trouble” is NOT one of those were the artist just thinks, “I’ll just throw in some live tracks here.” The live tracks are well preformed and the live LP is very well thought out. Full marks here for the entire album. Usually YouTube is very good at allowing me to listen to albums I never got the chance to back in the day, like all of the Gillan albums I’ve covered so far. This time, it was a bit of a struggle. YouTube wouldn’t play tracks, “I’ll Rip Your Spine Out” and “Nightmare” so I can only speculate they were as good as the rest of the songs here. 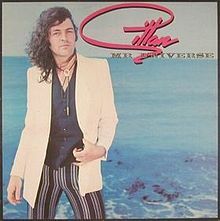 Whatever the case, with two great albums in the same year, Gillan must have been riding high. Now that I have finally sat down and heard the album, I can safely say that it’s a good one. 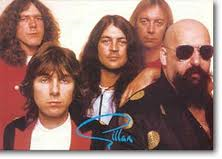 I have always stated that keyboards can be used in hard rock and metal if done properly and Gillan do it right. Colin Towns lays down some great keyboard backing while still allowing the much underrated Bernie Torme to show what he can do on the guitar. All this supported by a strong rhythm section and of course the man who I consider the best voice in rock/metal, Ian Gillan. There is little I can say about the vocal ability of Ian Gillan that hasn’t been said before. 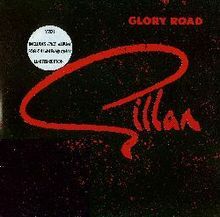 “Glory Road” also shows the band’s versatility. While I mention the keyboards as a support, the album throws in a beautiful keyboard dominated song like “Abbey of Thelema” after such great rockers as “Sleeping On the Job” and “On the Rocks.” For anyone who likes a bit of variety, there is hard rock, a bit of prog rock and a little blues at times in “Glory Road.” To make a long story short, this album has it all. If you’re like me and hadn’t heard this album before, I definitely suggest you have a good listen to it. I guarantee you won’t regret it. I think I’ll be spending some time going through the Gillan backlog. For me, after he left Deep Purple, Ian Gillian kind of dropped off my radar throughout the rest of the 1970’s. This is mainly owing to the fact that none of Gillian’s songs ever got played on that old AM clock radio of mine. Therefore, this is yet another album that I listened to after the fact. What I know now that I didn’t know back then was that Gillian continued to rock on with his own band for the rest of the decade and was very successful in the UK. Listening to “Mr Universe,” I get the feeling there’s a similar sound to the Deep Purple reunion album “Perfect Strangers.” The sound is more keyboard oriented but there is nothing wrong with that on this album. However, I do like the more rockier tracks “Vengeance” and “Puget Sound” as they have more harder sound. Furthermore, the guitar work of Bernie Torme, someone I would eventually come across when I got to London in 1986, is more present on those tracks. The other tracks are in no ways weak and all together this is a fine album. Ian Gillian has always been one of my favourite vocalists and I will forever be blown away when I heard him sing “A Child in Time” live. His vocals are no less formidable on “Mr Universe.” One thing that has been said of singers who surround themselves with good musicians is that they do so to compensate for their limited vocal ability. Yeah, that’s certainly true with Jedward and some say it about David Lee Roth. 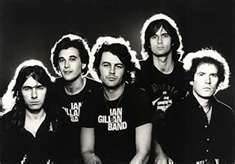 However, Ian Gillian is not the case and his vocals and band has me wondering why I never heard of them in the US back then.